Lois Weldon is a professional writer at the dissertation writing service Uk.bestdissertation.com. She is an ESL teacher. Her hobbies are decoupage and writing poetry. She loves Marvel comics and homeschooling her 7-year-old son. If you’re a college student, you’ve probably completed hundreds of writing assignments and become intimately familiar with the writing process. But writing does not stop with graduation – you’ll have plenty of opportunities to write even after you finish school. No matter how much writing you’ve done, it never hurts to learn a few tips and tricks to facilitate the writing process. Does this look familiar to you? Read these tips before writing that paper! Photo by gudmd.haralds via Flickr. Make an outline. The importance of having an outline can never be overstated. An outline is a blueprint for your assignment. Developing an outline will help you organize your ideas, conduct better research, and estimate the word count for every section. Take note of the structure. When doing your writing assignment, make sure it has an introduction, a body and a conclusion. An introduction should introduce your topic and provide background information, while the body of the paper should contain the supporting evidence for your paper. Lastly, provide a conclusion by summarizing your argument and putting it in context. Remember: the conclusion is your last chance to impress your readers, so make it memorable! Ensure continuity of ideas. Imagine if your paper is all over the place – that is, you discuss a certain topic in one paragraph, then introduce an entirely unrelated topic in the next paragraph. Your reader will not be pleased. It’s important to maintain continuity so your readers will be able to follow your train of thought. Keep it objective. When it comes to academic writing, what really count are facts and relevant information. While your opinion does matter, refrain from incorporating it on your writing assignment. It is imperative that you present a clear and unbiased picture based on evidence and expert studies. Unless your opinion is being asked, don’t include it in the paper. Use bullets and numbering. In some academic writing, bullet points are preferable to long-winded paragraphs. This will allow you to discuss each point in an efficient and organized manner. Plus, it’s easier on the eyes. Take note of the word count. When writing your assignment, keep in mind that too few words means you won’t be able to express your ideas effectively, while too many words can lead to superfluity or duplication of ideas. If you are given a required word count, stick to it! In your outline, indicate how many words you should allot per section. Use examples. In a writing assignment, you must show that you understand the resources and materials you gathered from research. Use concrete examples to apply what you’ve learned and support your arguments. You should also make use of tables, statistics and figures in your paper. Cite your sources. 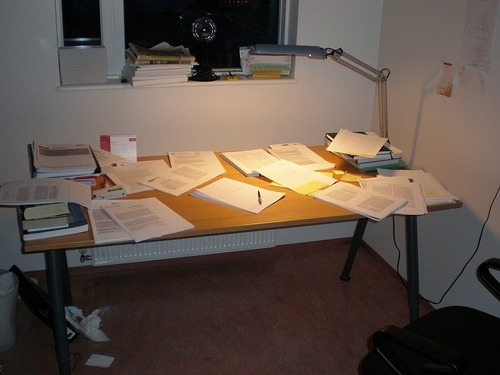 When it comes to academic writing, citing your sources, especially when you’re borrowing an idea or theory, is a must. Plagiarism is a form of stealing and you don’t want to compromise your future just because you did not acknowledge someone else’s work. For more tips on how to write a paper and much more, order your copy of The Secrets of Top Students today! I’m happy to announce that my first guest post for StudentAdvisor.com is now online! Click here to read The Five Rs of Writing a College Research Paper. Okay, so maybe that’s Seven Rs, but who’s counting? Read more here. The Rise Scholarship Foundation has re-posted my article here!